Some websites, such as Twitter, Facebook and YouTube, have been sporadically inaccessible for months, even years. Total blocks on other websites, such independent newspaper Asia-Plus, are more recent. 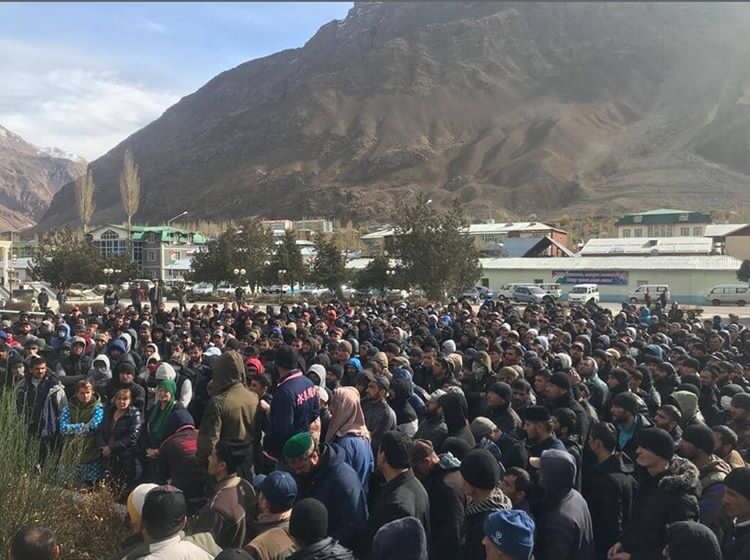 The worst situation of all is in the Gorno-Badakhshan Autonomous Region, or GBAO, which was cut off from the internet altogether as of November 9. The mountainous region is currently the focus of an intense security sweep and has seen at least one show of mass discontent by local residents. The Asia-Plus website became inaccessible after publishing an article about a line in the state budget for 2019 that exempted a five-star hotel purportedly under construction from paying value-added tax and custom duties. But it does not end there. Ismoili Somoni-21st Century is the only company in Tajikistan authorized to import construction materials, in effect granting it a monopoly. The implication of the Asia-Plus article was that the Ismoili Somoni hotel is not being built at all, and that the construction materials being imported duty free are actually sold on to other construction companies at a handsome profit. Elsewhere, in the northern city of Khujand, a prison riot has reportedly claimed at least two dozen lives. According to the sparse reporting that has been devoted to this incident, it appears that late on November 7, an unspecified number of inmates overpowered guards in an attempt to take over the prison. It seems that special forces were then dispatched to quell the uprising, culminating in the mass bloodshed. It is uncertain whether the new restrictions on access to social media websites is linked to either the situation in GBAO or in Khujand, but experience indicates that measures to limit the flow of information in Tajikistan typically coincide with outbreaks of unrest.